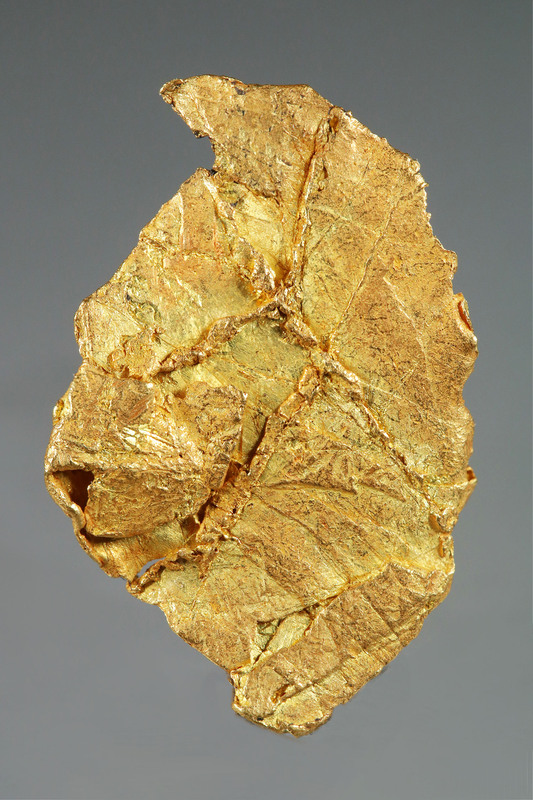 A rare and unique leaf gold specimen from the Yukon. 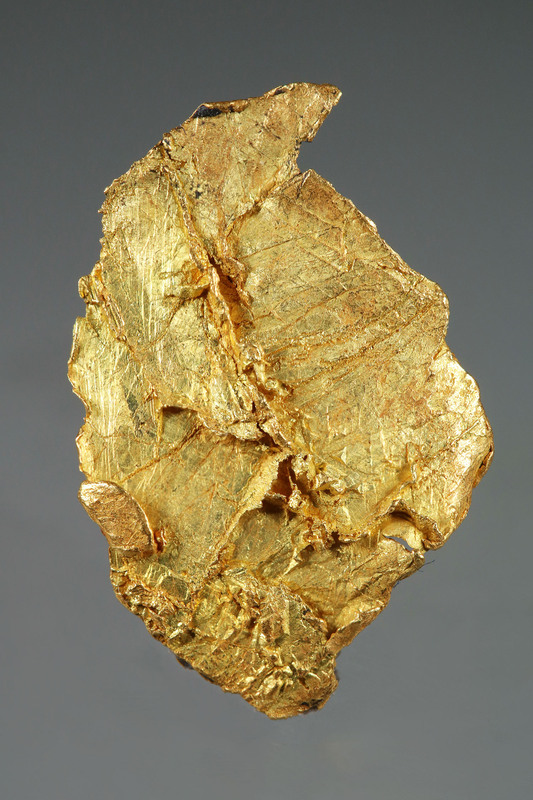 It has a warm gold color and a very defined surface texture that is dendritic with faceted veins and folds on both sides. 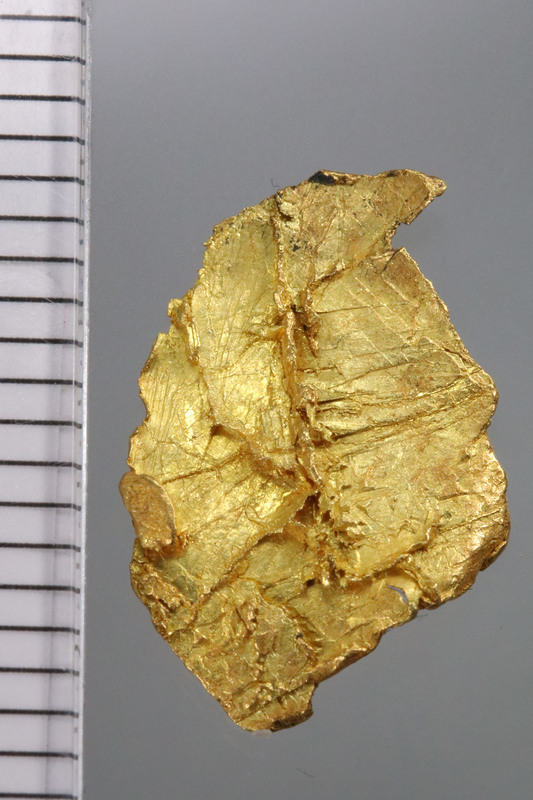 A wonderful piece and flat which makes it a large piece for the weight and it shows well. Dimensions: 7/8" by 9/16" or 22mm by 15mm.